The NEW edition III of our book is now available for purchase. 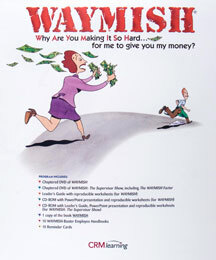 Featuring Lee Tomlinson as our new partner in writing, speaking and training for the WAYMISH brand. Price of Book: $18.50, which includes shipping and handling for domestic orders. Taxes added when applicable. For quantity discounts and international orders, call or email for pricing. 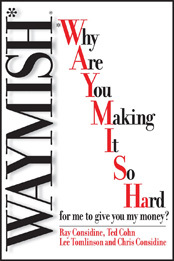 Email your order to Waymish@earthlink.net or call 888-WAYMISH (888-929 6474).